If you are looking for a fun and unique way to capture every moment of your next event, our photo booth in Aberdeen is a great choice. 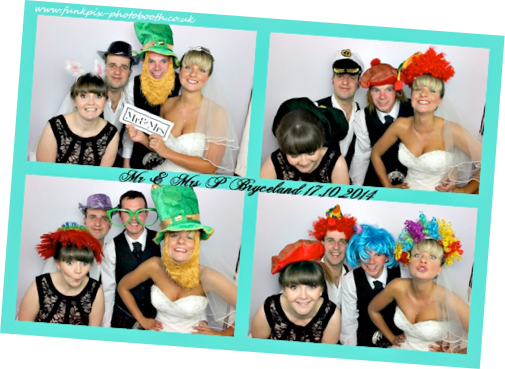 We will supply one of our state of the art photo booths in Aberdeen to position in your venue. Your guests can choose to enter the booth at any time during your event and take full advantage of the props we have laid on for them. From huge sunglasses to wigs and hats, we have catered for every taste and the results can be hilarious. 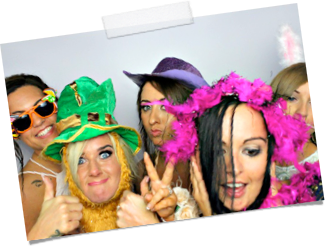 Forget a boring photographer - they would never be able to achieve the same level of fun as our photo booth rental in Aberdeen can achieve. Our photo booth hire in Aberdeen is also much more affordable than a professional photographer and is sure to bring out the best in people...or the worst in a good way! We would be delighted to tell you more about our photo booths and how they can help you to capture the moments that you might otherwise miss out on. 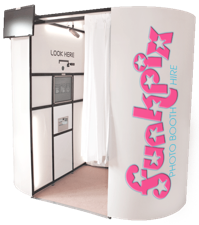 When you are looking for photo booths in Aberdeen that you can rely on and which will add a great feature to your event, come to FunkPix. We have years of experience in catering for weddings, birthdays and kids events, and we would be delighted to tell you more about our photo booth in Aberdeen and how we can get your photo booth delivered as quickly as possible to get your party started right. Everybody loves having their photo taken when they are dressed up. Our props allow your guests to be somebody else completely and to record the moment for all to see. Whether you choose to print out your snaps or share them on your social media, you can be sure they will cause a stir! We would be very happy to take your booking and to show you just how special and unique our photo booths in Aberdeen really are. Why not call us today to find out more about our booths, our prices and our services? We have helped many a party go with a swing and would be delighted to tell you more.